Funds advised by Motion Equity Partners have announced an investment in Cellular Line, the Italian leader in the design and marketing of accessories for smartphones and tablets. Motion had known the business for many years and at the end of 2012 it approached the owners and proposed a buy-out as a means facilitating family succession. The owners granted Funds advised by Motion 6 months of exclusivity to arrange the buy-out. Motion effected due diligence, structured the transaction and approached a selected group of institutional investors on the opportunity. In July 2013 a transaction was signed whereby an institutional investor acquired the majority of the business from the founding families Foglio and Aleotti, in a transaction valuing the Company at €170m. The 2 families retained a significant stake. Motion acted as arranger throughout the deal and also co-invested alongside the institutional investor for a minority stake. 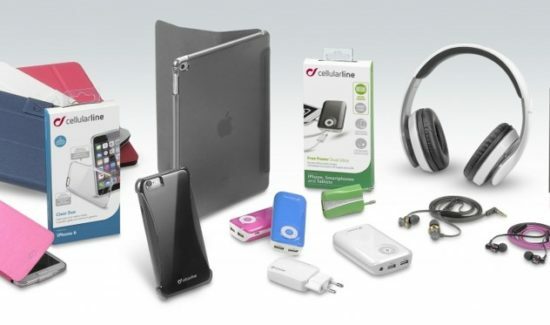 Cellular Line product range mainly includes covers, chargers and other innovative products for both smartphones and tablets. The Company sells its products to more than 2,000 clients, including leading consumer electronic retailers, mass merchandisers, duty free, service stations (highways), media stores and independent electronic/mobile phone stores. The Company also sells motorbike products under the Interphone brand. Cellular Line sells its product in Italy and in more than 60 foreign countries, with export representing c. 30% of sales. Cellular Line business model is based on outsourced production (Far East) while all the key activities such as product development, marketing and service, sales (B2B) and logistic are managed in house. The Company has built its success over the years on top-tier category management and trade marketing services to its B2B customers. Maurizio Bianco, Partner at Motion Equity Partners, states: “We have know Cellular Line and its founders for a long time. Over the years we have watched them build a solid business that still has significant growth prospects in what is a very vibrant sector. We expect to support management in developing new products and in expanding international markets in the next few years”. Cellular Line employs more than 200 people and has budgeted Sales of c. €180m in fiscal year 2014.